The Squirrel Next Door: Happy Valentimes Day!!! Happy Love Day all!!!! Not only is it Valentines Day, but its also my last day of being 18! Wahoo! 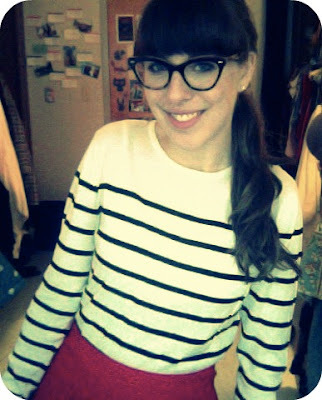 Anyways, here's what I wore this gorgeous lovey dovey day. And now for the part of the blog post where I share some cute Valentine lovies from across the web. All photos can be found via my pinterest. But um, yeah. 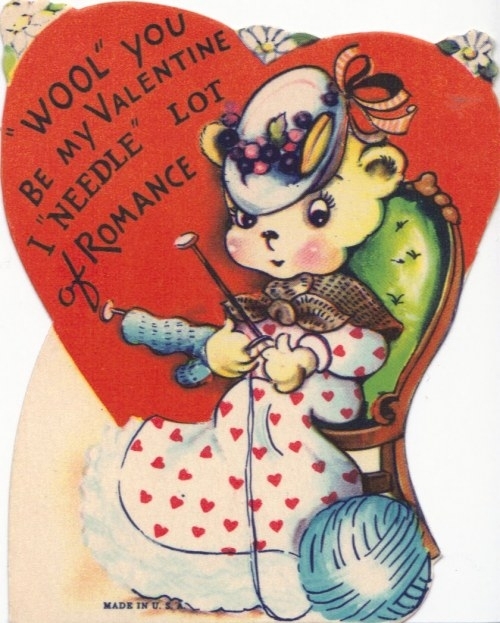 Here's an adorable vintage valentine...any knitter like myself would love it! Here's this cute valentine's tutorial from Elsie! She is always the best! Why is everyone I'm following on pinterest pinning things of this nature?! Its like they know what's happening in my life! Another blogger fav, Meredith, shared this red velvet doughnut recipe this week. 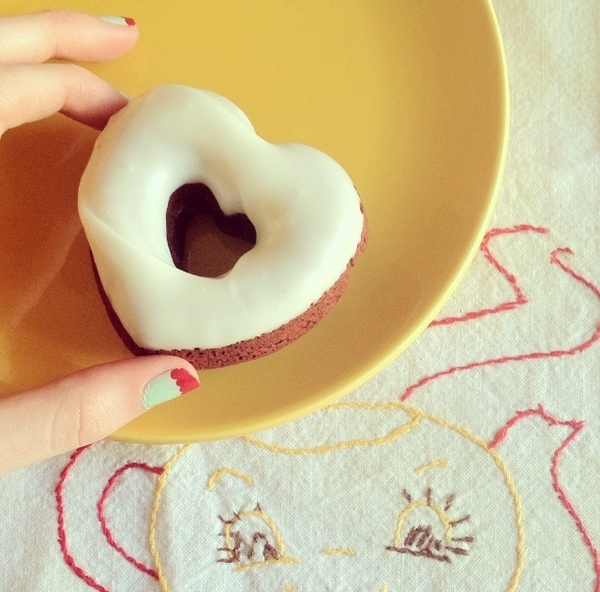 What a perfect idea for a valentine's breakfast! 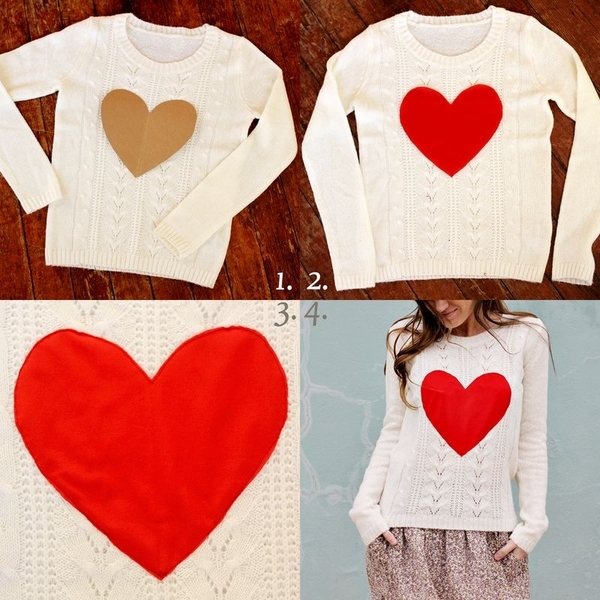 So I found this website which is pretty much the black market for cheap adorable clothing. And I stumbled across this little cutie. 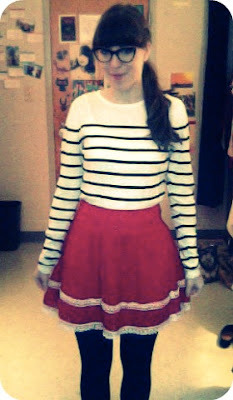 Now this is what I wish I was wearing on Valentine's Day! And a little love song for your pleasure! Did you know that this EP (which launched the band) was a Valentine's present that Michael Angelakos made for his girlfriend. Thank goodness for Valentine's day then, or else we wouldn't have Passion Pit! Yeah, I know this whole post may be a little sappy, but that's what this day is about! Am I right? Yes, yes I am.